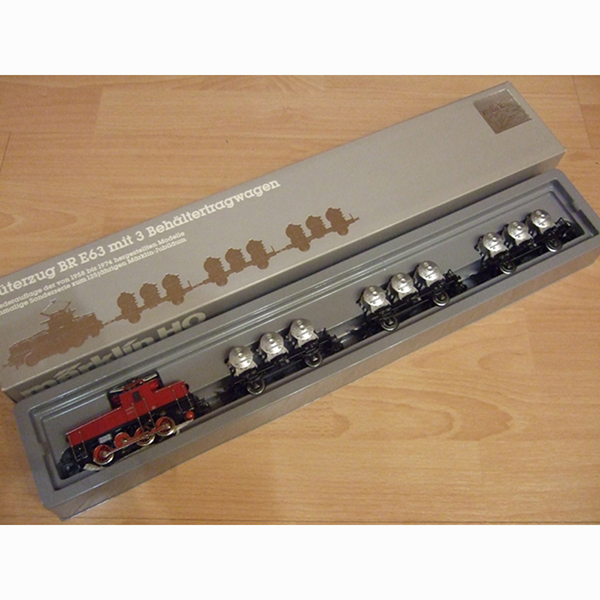 Behaltertragwagen Zug 125th Anniversary Freight Train Set. Included is the E-Lok 63 Electric Locomotive, switchable and mobile on overhead line enterprise, and three container cars with removeable EVA containers. Locomotive features include lighting, a pantograph, durable plastic construction, detailed cab, 2 traction tires 3 axles powered, metal wheels and axles. It measures approximately 5 long.